Back pain? Shoulder pain? Auto accident injury? Optimal Health Chiropractic and Massage in Edmonds, WA can help. 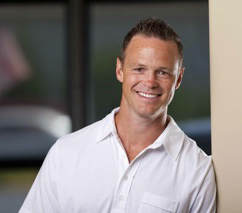 Our top Edmonds chiropractors provide leading pain relief and wellness care treatment for patients in the greater Seattle area, including Lynnwood, Mountlake Terrace, Shoreline, Woodway, Perrinville and surrounding communities. Chiropractic. Acupuncture. Spinal Rehab. Massage. Our Seattle chiropractic clinic’s unique approach to pain and wellness care can make a significant difference for your overall health. Led by Dr. Daryll Marshall-Inman, we are an integrated practice, offering chiropractic care, acupuncture, spinal rehab, and massage therapy all under one roof. We use specific gentle/light force instruments and partner with over 28 medical doctors in the area. Our doctors are available for no-charge consults (normally $40) to answer any questions about any aches or pains. If you’ve been in car accident and need a professional, caring auto accident chiropractor in Seattle, turn to us. Dr. Daryll Marshall-Inman and staff have been treating patients who’ve been involved in car accidents since 1996. Our Seattle chiropractors can provide whiplash treatments and pain relief – whether it’s for neck, back or shoulder pain, including whiplash and neck strain. Optimal Health Chiropractic and Massage understands that suffering from chronic or recurring pain in the neck, shoulder or back area is not an easy thing. During your first visit, our Seattle back pain professionals will perform a detailed exam and evaluation to determine the cause for your pain. Identifying the precise location is key in achieving the optimal treatment for your needs. Through regular chiropractic adjustments and lifestyle changes, you can be healthier, more active and pain-free. If you’ve sustained an injury on the job or in a motor vehicle accident, it’s critical to see a health professional as soon as possible. As a leading chiropractor based in Edmonds, WA, we specialize in all types of workplace and personal injury-related issues. Our Seattle personal injury chiropractor recognizes that every patient faces unique health challenges. That’s why our pain relief treatments are customized to each patient’s needs. 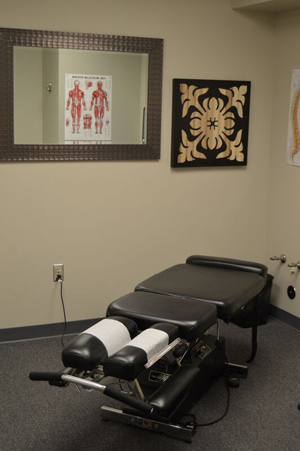 When you come to our office in pain, our first priority is to provide immediate relief. If you need a chiropractor for work injury, talk to us. If you seek immediate pain relief, schedule an appointment with our Seattle chiropractic clinic today! At Optimal Health Chiropractic and Massage we care about your well being and want to make sure you always have access to the very best in healthcare and medical advice. That's why you can always call us any time to speak directly to one of our Doctors about your health. Just call the number above or click the button and e-mail us your question and we will get back to you as soon as we can.